Kinoshita Yuka is known in the Oogui scene for the insane amounts of food she can eat at once. She is known for her muk-bang broadcasts. 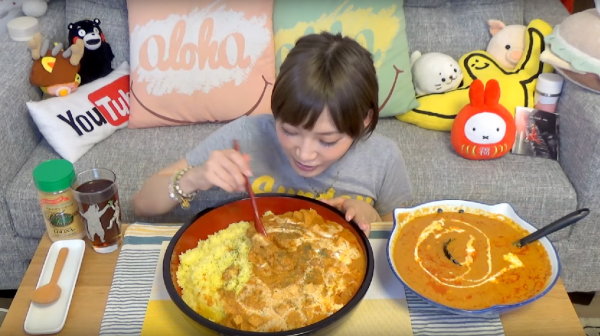 What is muk-bang, sometimes spelled meokbang, is literally “eating streaming.” This is like the Twitch.tv for food-binging enthusiasts, where people can eat crazy portions of food live for an audience with whom they interact. 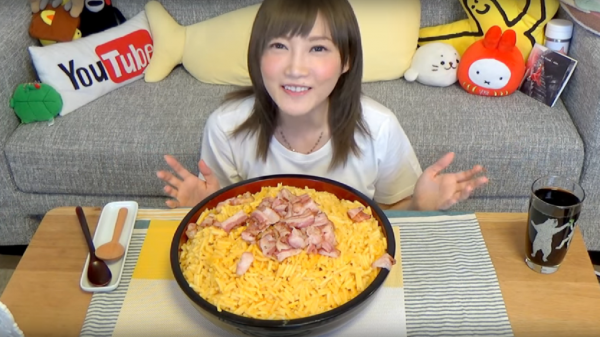 Many people like Kinoshita Yuka make money eating gigantic portions while streaming, so much so that it has become a profession for some. What sets Kinoshita apart from other muk-bang broadcasters? 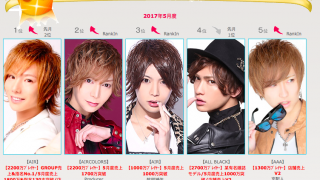 She also participates oogui, which means “to eat a lot.” This name is usually associated with competitive eating competitions in Japan such as the “Oogui Big Eater Japanese Eating Competition” which airs on TVTokyo. Many people who look at Kinoshita Yuka think, “No way! She can’t be a competitive eater! She’s too tiny!” But, strangely enough, many competitive eaters are very thin and the lack of abdominal fat allows more room for the stomach to expand. How much can this tiny woman really eat though? She shows us her amazing feats on her Youtube channel. The list goes on and on, and her eating prowess has dazzled the world. She has amassed over 2 million Youtube subscribers, and her fans regularly translate her videos from Japanese to English, Portuguese, and Polish. There’s a science behind eating this much food, and it’s usually credited to stomach stretching and/or an overabundance of bifidobacteria. But can she eat 100 sandwiches from McDonald’s at once? 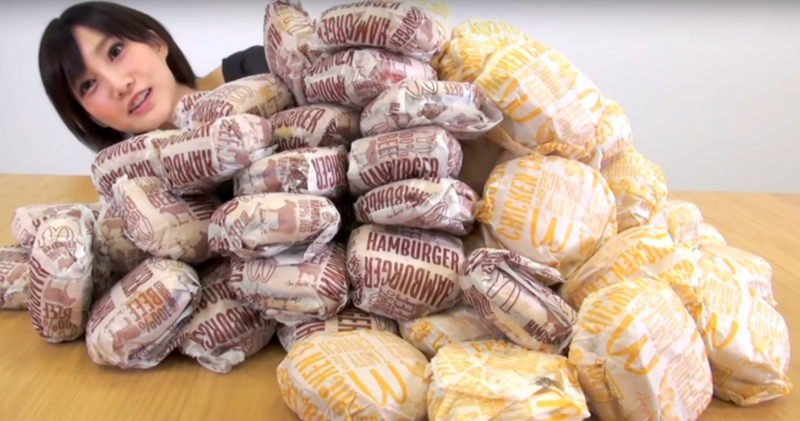 She has 50 hamburgers and 50 McChickens + a few sauces of her choosing. All lined up on the table, they look bigger than her whole body! Despite eating crazy amounts of high-calorie food, Kinoshita Yuka is very slim and healthy looking. If you passed her on the street, you would never know she was an Oogui legend!